Work has begun to restore Charlton House’s Summer House, thanks to a donation from the World Monuments Fund. The Grade I listed Summer House, attributed to Inigo Jones, once gave panoramic views back along the River Thames to The City of London and has stood empty and unused since the public toilets within it were closed in the early nineties. It has been included in Historic England’s ‘Register of Heritage at Risk’ for many years. Work has now begun to remove asbestos and to clear the building of the modern toilet fittings and masonry partitions to leave it open and available for a wide variety of temporary uses. 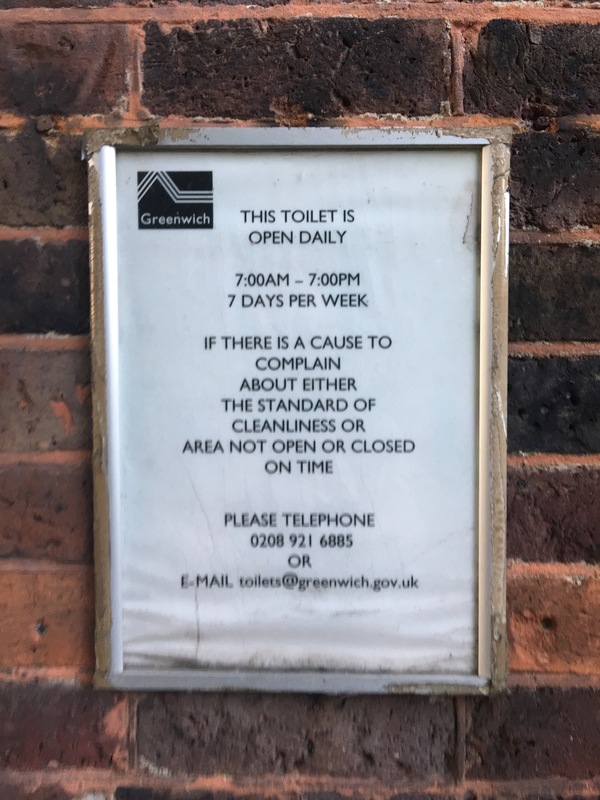 Will this old Borough of Greenwich sign go into the Trust’s historic collection? The Charlton Champion understands that following the first stage of restoration, RGHT will be looking for ideas for temporary uses of the space – time to start thinking about what you’d like to see in the Summer House! This is super exciting! Thanks for the update Neil!